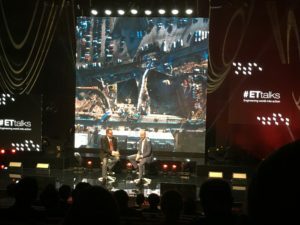 ... the first edition of #ETtalks behind us - the conference organized by Danfoss Polska, took place in Warsaw on April 17th. 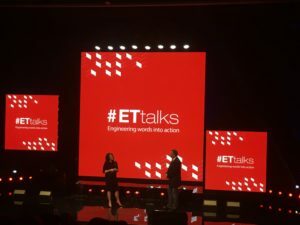 #ETtalks (Engineering Tomorrow talks) is a conference which, thanks to the original formula and the collection of outstanding speakers and visionaries, changed the model of engineering conferences. At the most of conferences, we often met with monotony and sales presentations, which influenced the participants' decisions about a possible return (or not) for the next edition of the conference. 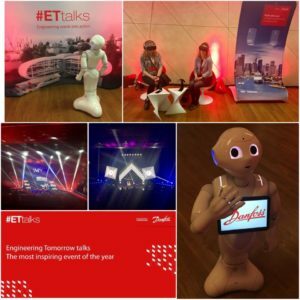 #ETtalks by Danfoss met my expectations. It also met the expectations of many participants - what could be heard behind the scenes and noticed in social media. Personally, I'm glad that I could meet a lot of people with passion, vision and the will to change the world for the better. I am glad that I met many friends who are also looking differently at their business and are looking for new solutions and work models. We will not be better in the future if we continue to do everything in the same way! It is time for changes! Thank you for being able to be part of this event! Congratulations to Danfoss! Good luck and I keep my fingers crossed for future projects!